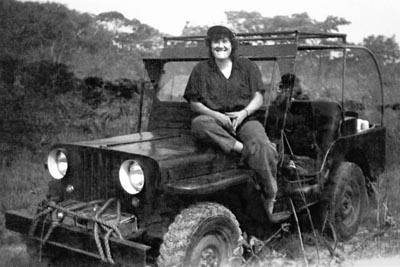 The Jeep was not exclusively a military vehicle in the Congo, even if it did not achieve nearly the same success in civilian life. 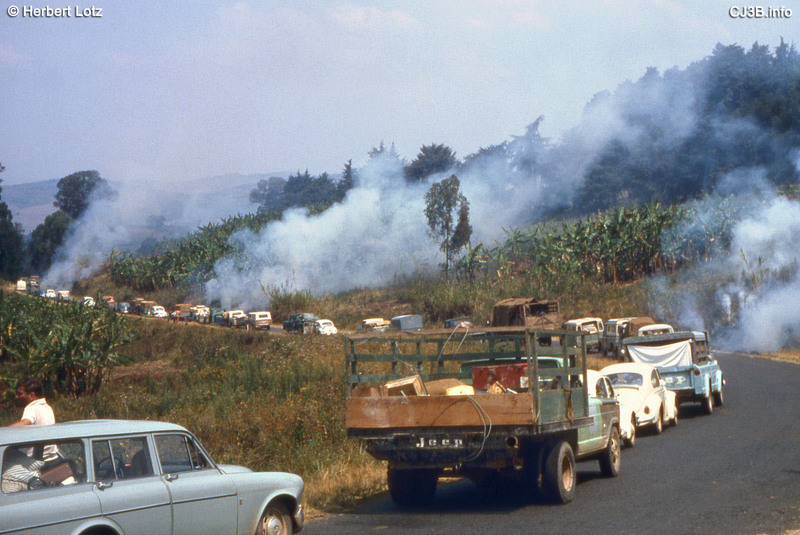 On the face of it this might seem strange, considering the poor state of the Congolese road network. 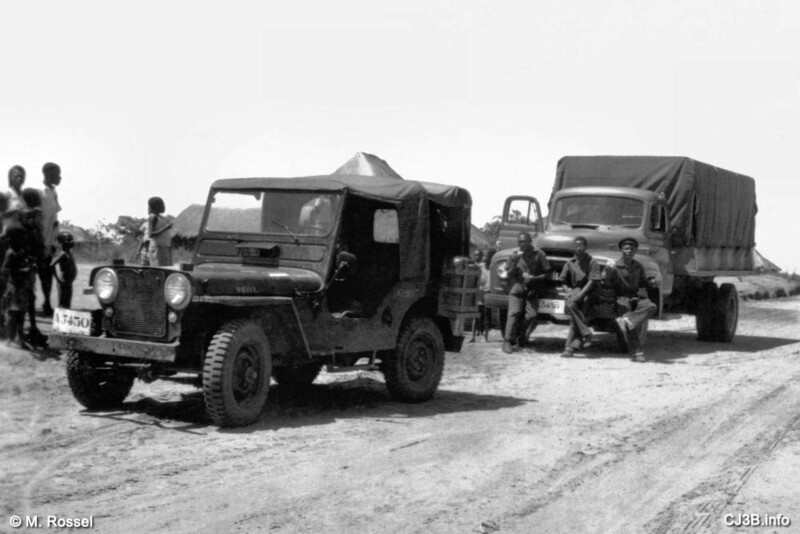 Nevertheless, a fair number of Jeeps of various version did enter the Congolese civil register and the illustrations below only provide a few samples of their varied uses over the years. 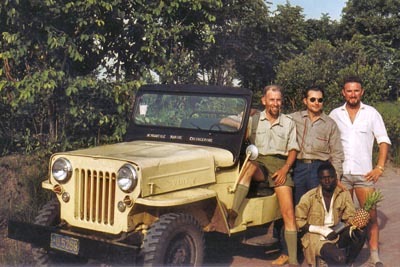 The civilian colonial administration of the Belgian Congo did, quite naturally, find various uses for the Jeep in its service. 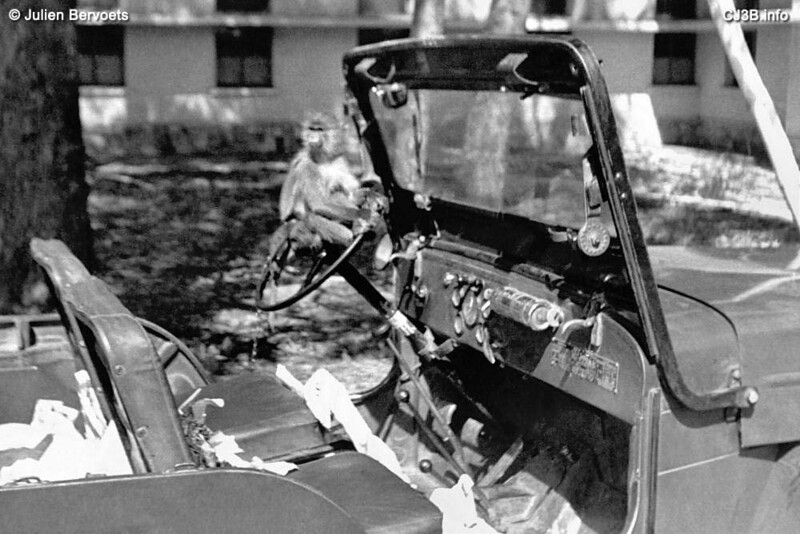 Many of the Jeeps presumably came from the assembly lines in Belgium. 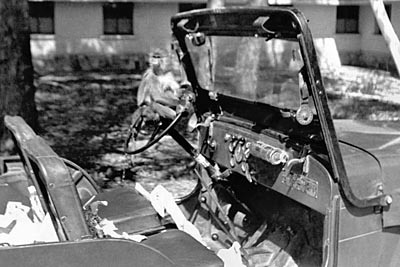 The Jeep was never a particularly common vehicle in colonial service, however. 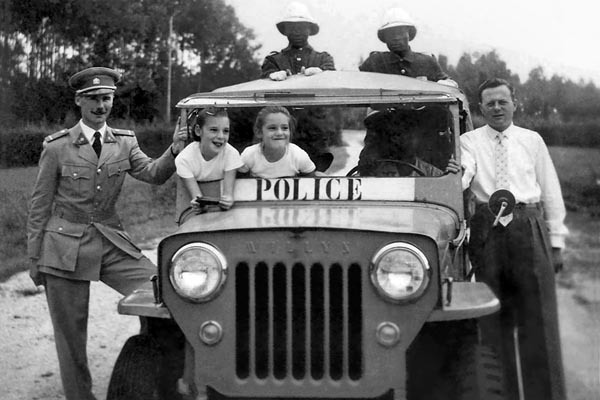 The Jeep was not particularly popular outside government service. 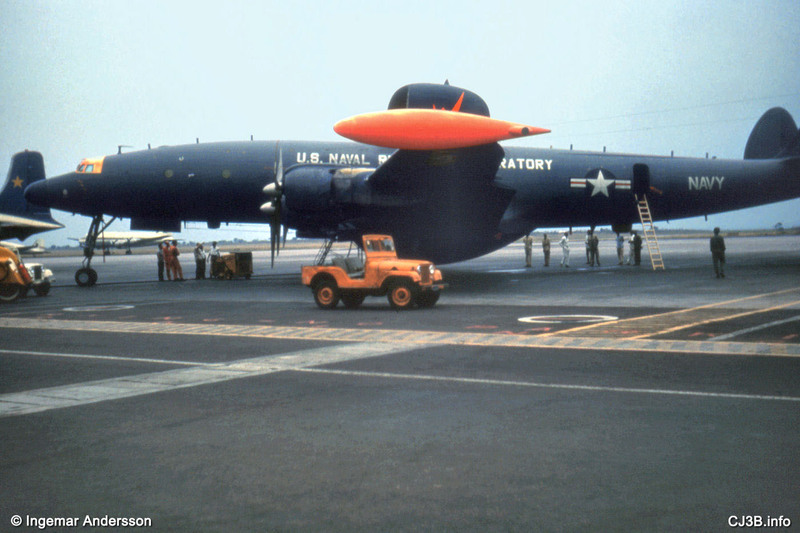 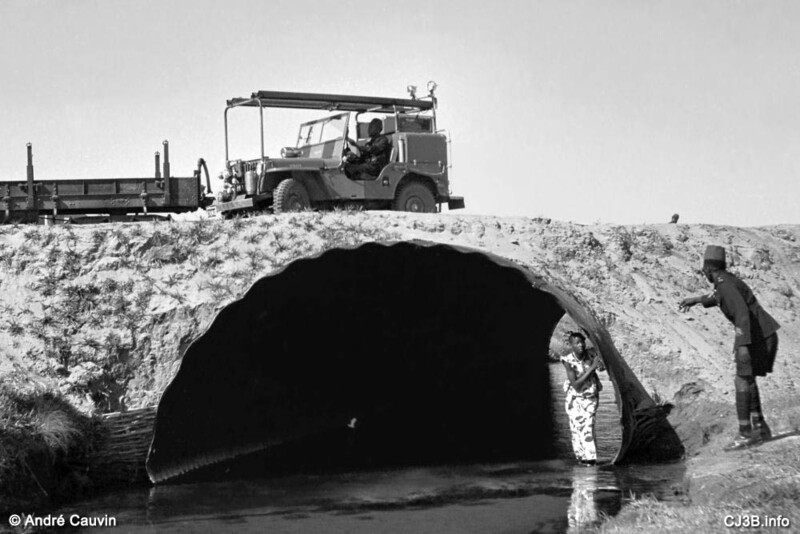 A main reason was likely its limited carrying capacity. 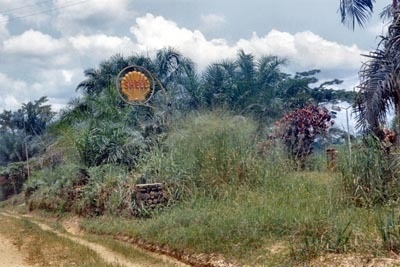 The Congolese themselves had virtually no motor vehicles of any description and the foreign settlers in the Congo countryside were almost all connected to either missions or small businesses. 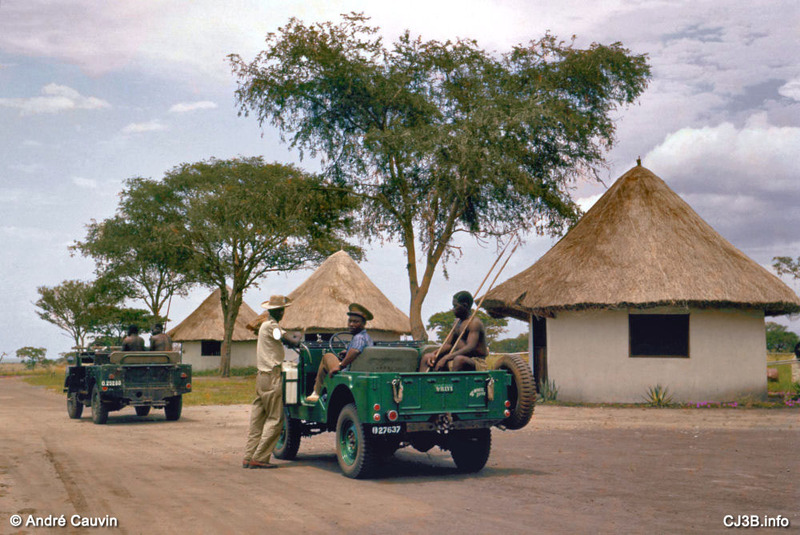 These tended to use either normal cars or else small trucks that could move a reasonable number of people and/or quantities of supplies. 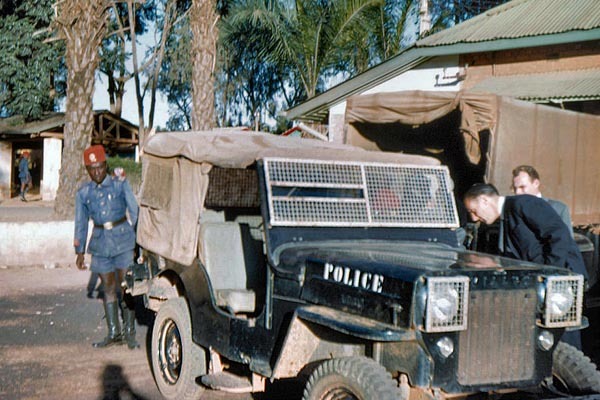 Even when a four wheel drive vehicle was obtained, the choice often fell on the Land Rover rather than the Jeep -- or on some other European vehicle type. 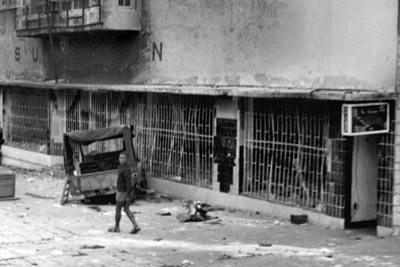 The series of crisis in the Congo from 1960 to 1967 led to a huge disruption of all civilian life. 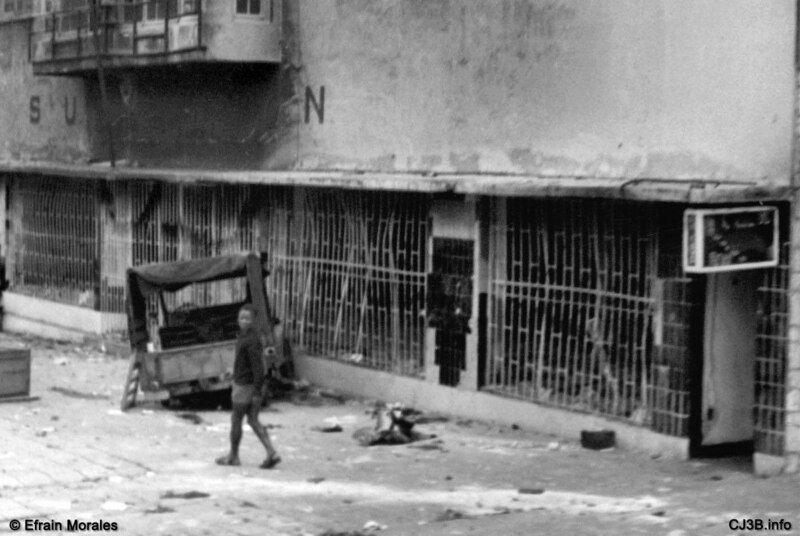 The economy was in constant decline and many foreigners fled the country. 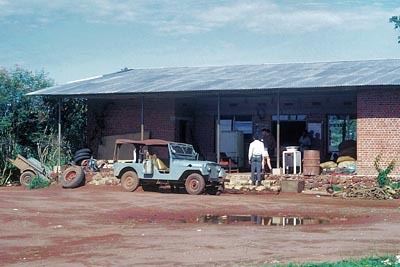 Roads and other infrastructure deteriorated steadily and imports fell drastically. 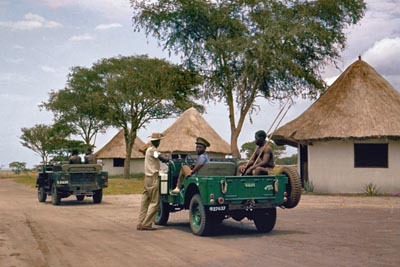 Maintenance of vehicles suffered greatly due to lack of qualified mechanics and spare parts and many civilian vehicles were also stolen and destroyed by various military factions. 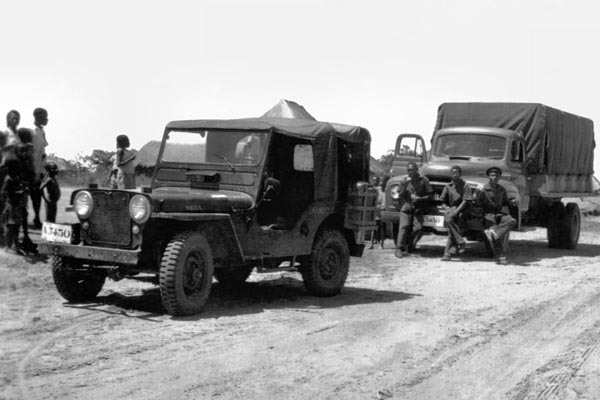 Even so, some civilian Jeeps still graced the roads and there was a trickle of new ones as well. 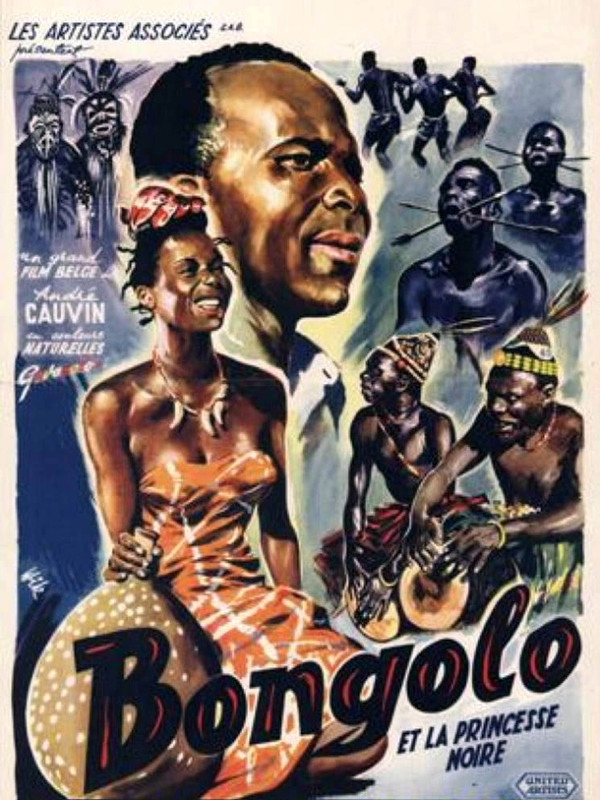 Leopoldville (now Kinshasa) and Brazzaville are closer to each other than any other capitals in the world, being in sight of each other across the Congo River. 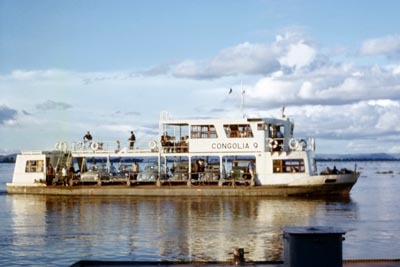 The old French Congo remained relatively calm in the 1960s and ferries constantly shuttled back and forth. 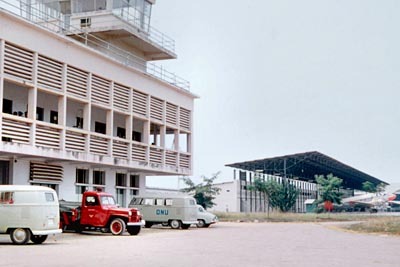 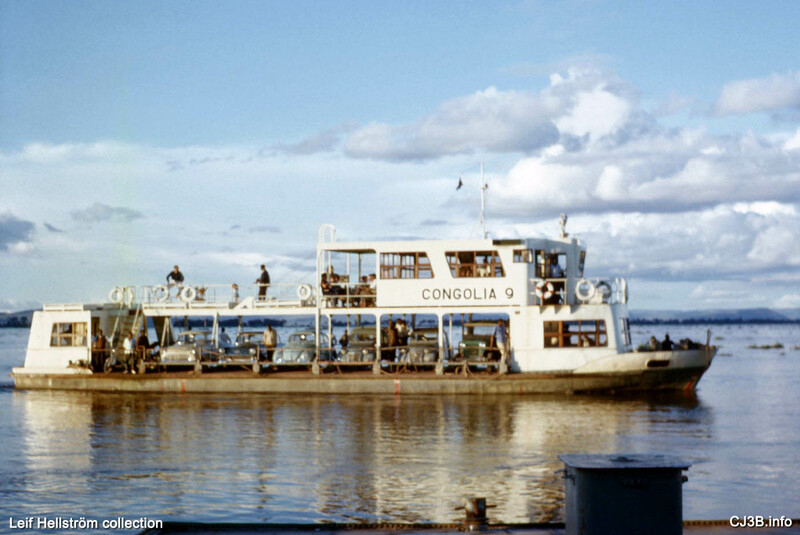 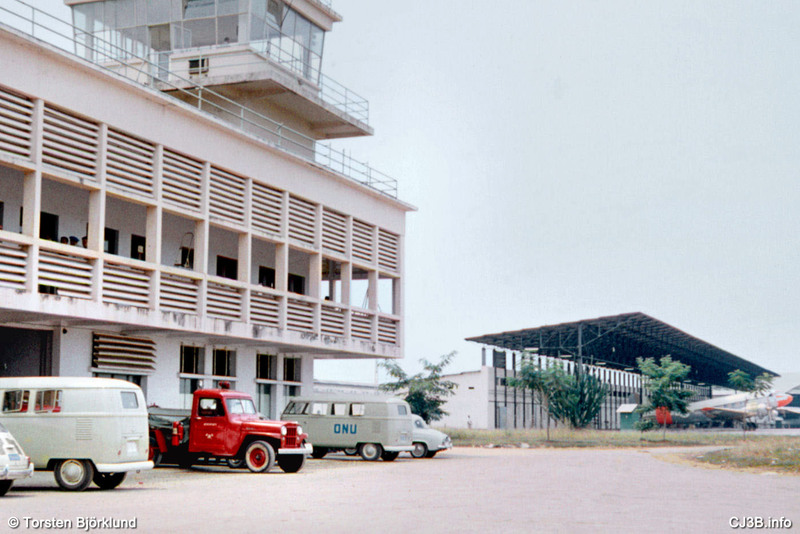 Congolia 9 was one of the small car ferries in use, and on the right in this 1962 photo, next to a couple of Citroen 2CVs, is a civilian CJ-3B. 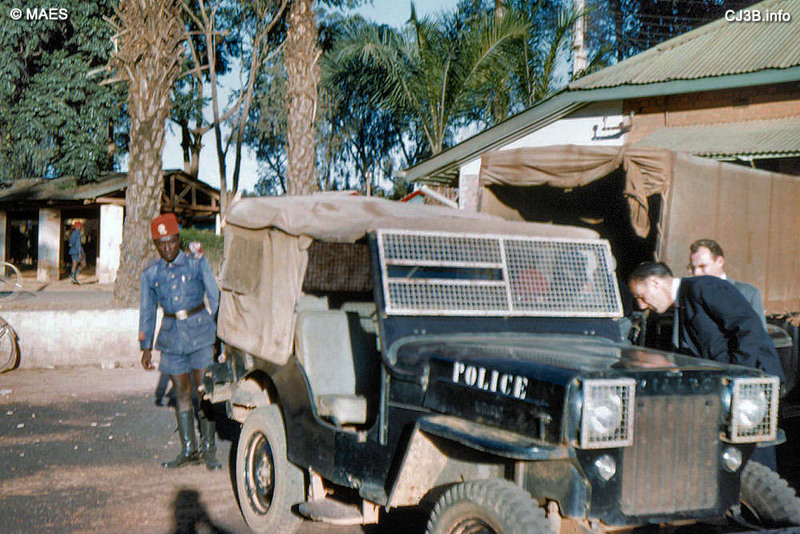 Judging from the size and shape of the licence plate on its grille, it was registered in the Congo Republic, i.e. 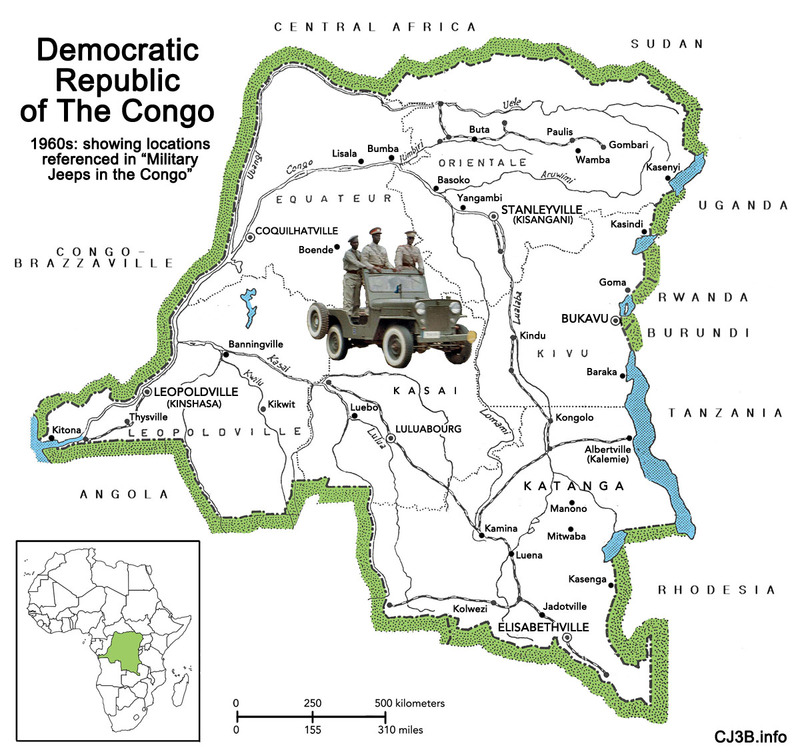 the former French Congo. Another civilian CJ-3B which rode the ferries belonged to Canadian diplomat David Nixon -- see A Jeep Called "I Presume" on CJ3B.info. 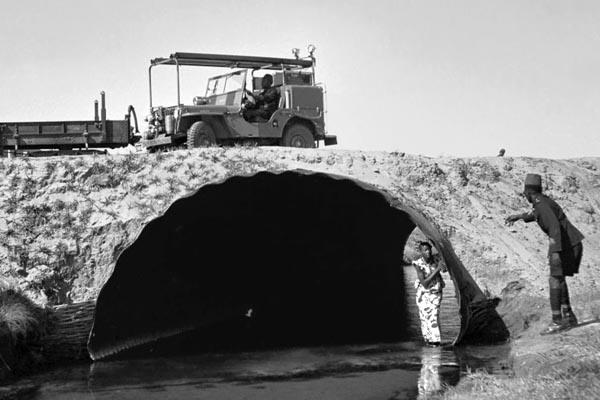 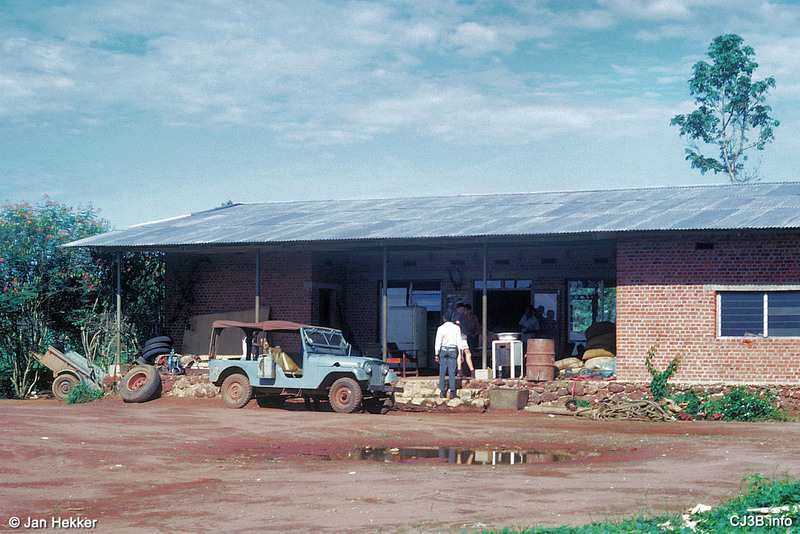 The troubles of the Democratic Republic of the Congo (known as Zaïre from 1971 to 1997) did not end with the 1960s, nor did the history of the Jeep in the Congo. 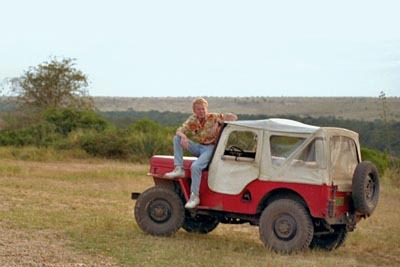 Some of the old Jeeps lived on, and a few no doubt survived into the 2000s. 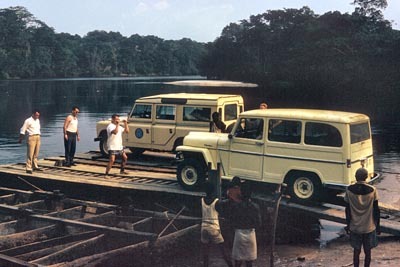 Imports of new Jeeps declined over the years, as cheaper Japanese vehicles became popular instead. 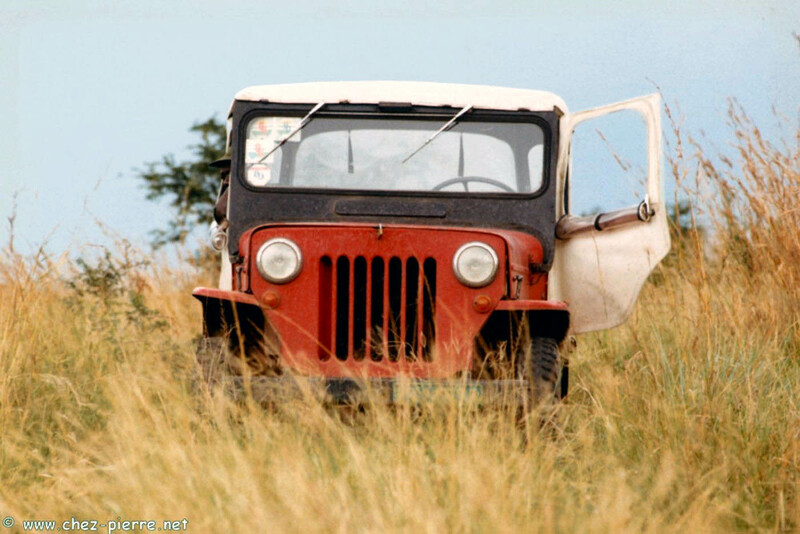 Today some new Jeeps can still be seen on the Congolese roads, but now as luxury items rather than as workhorses. 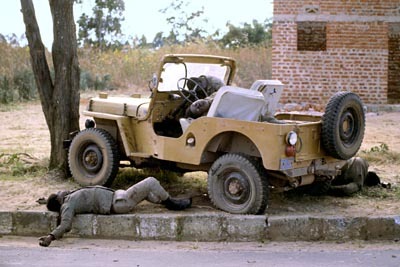 It is hard to keep a good Jeep down! 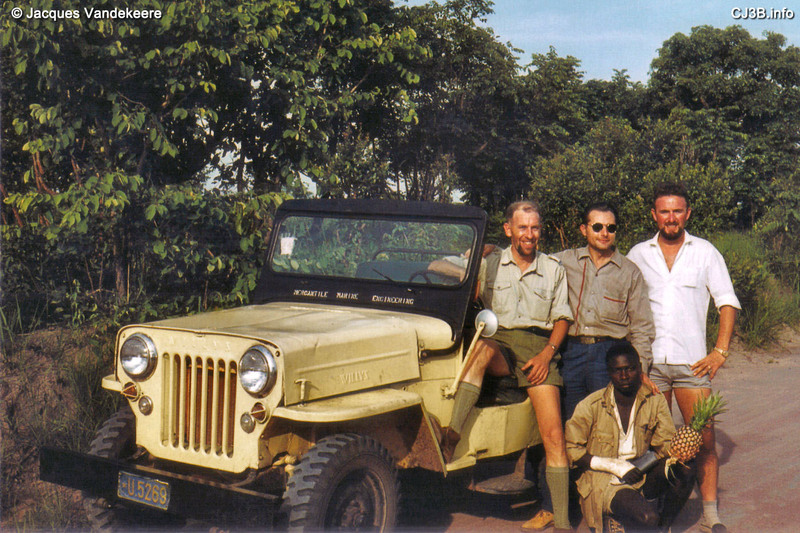 In 1990, Belgian teacher Pierre Gieling went to Goma in eastern Zaïre to teach at the Belgian School and bought a red CJ-3B from his predecessor (see High Hoods Everywhere on CJ3B.info.) This photo was taken in the Virunga National Park (see earlier on this page). 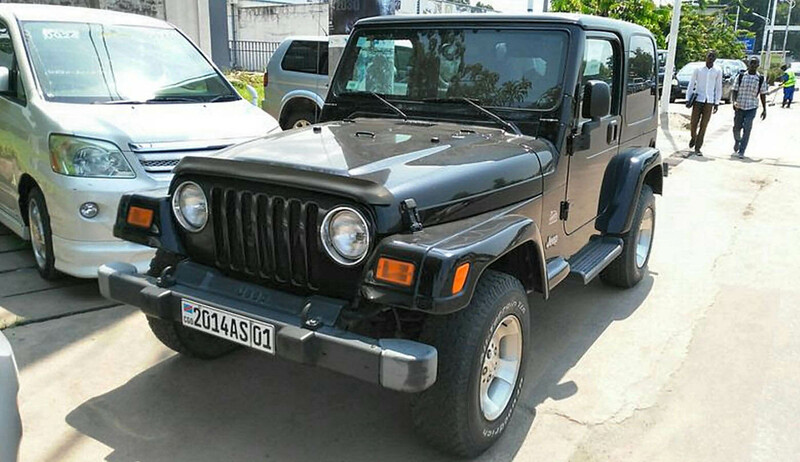 A Jeep Wrangler from 2005 or thereabouts, for sale in Kinshasa a decade later, brings the Congolese story into this millennium. 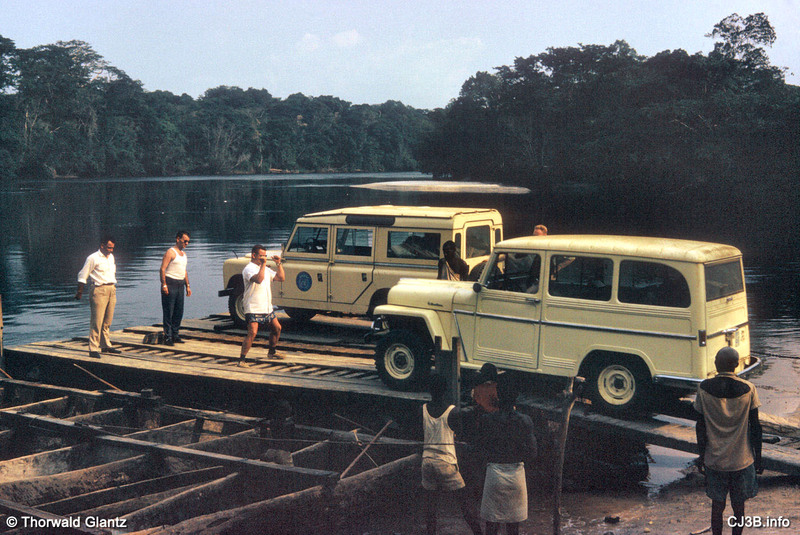 It is unlikely that the Jeep will ever again be more than a novelty item in the Congo, however. Some CJ-3B wrecks no doubt still adorn the Congolese landscape but it is doubtful if any of those early Jeeps are still in use, 50 years on. 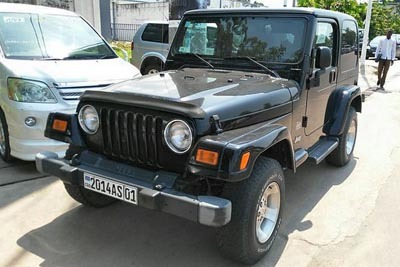 Also on CJ3B.info, see more CJ-3B and M606 Military Jeeps.